But beside the awesome experience of seeing them perform live, I also finally got to meet some of my lovely friends. The autographs below wouldn't have been possible without one of them. 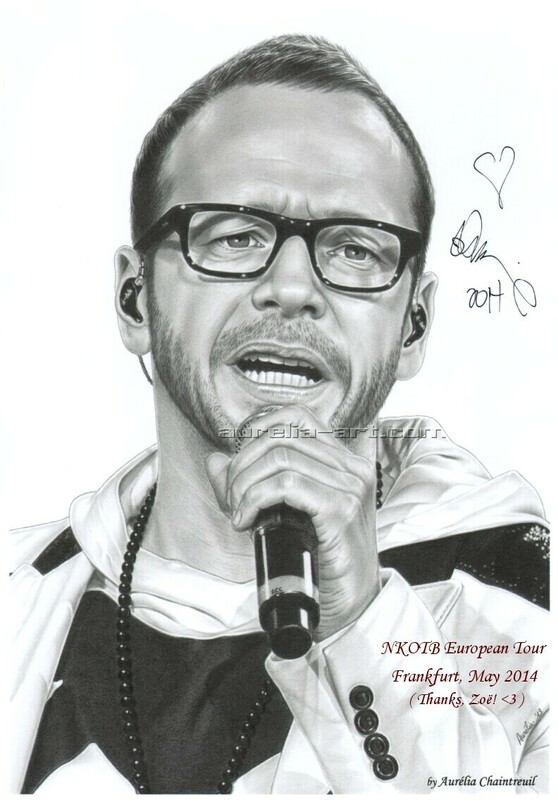 Zoë first helped me win a Meet & Greet with Danny Wood in Zurich where I could ask him to sign a print of his portrait and then, she asked Donnie Wahlberg to sign for me a print I had actually offered her. She's just too adorable. Thanks to Misha Collins for signing a copy of the drawing. You can see the work in progress for this drawing in the "Television" gallery. Here are little souvenirs from Jason Manns' show in Frankfurt (Germany) where Emad Alaeddin was one of the guest artists. The Gate, London. Thanks to Jason Manns for the autograph on the limited edition of his CD. You can see the work in progress for this drawing in the "Music" gallery. 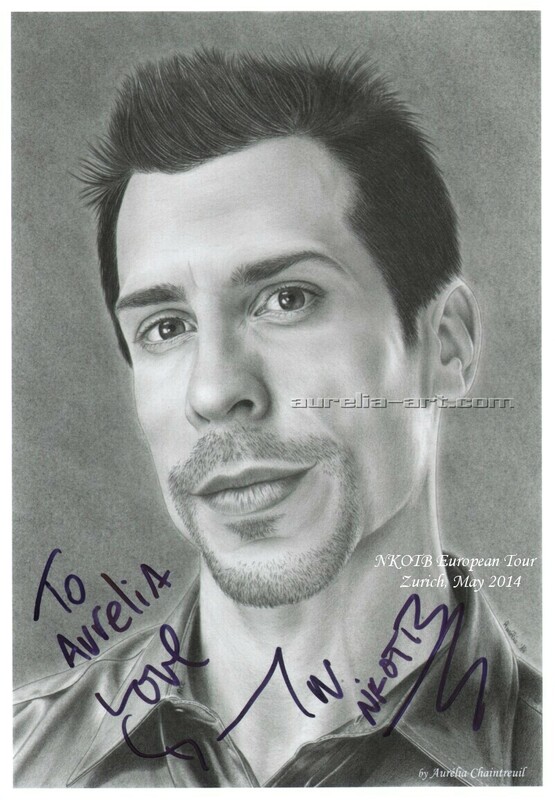 Thanks to Jason Manns for signing a copy of the drawing. Thanks to Jensen Ackles for signing the picture. Thanks to Jason Manns for signing the original of the drawing. Thanks to Chris Dowling for signing a copy of the drawing. Thanks to Jensen Ackles for taking the time to sign these drawings. Thanks to Lara Fabian for signing a copy of the drawing. A big thank you to Emmanuel Curtil for his kindness and also to Greg and Reynald for their help.